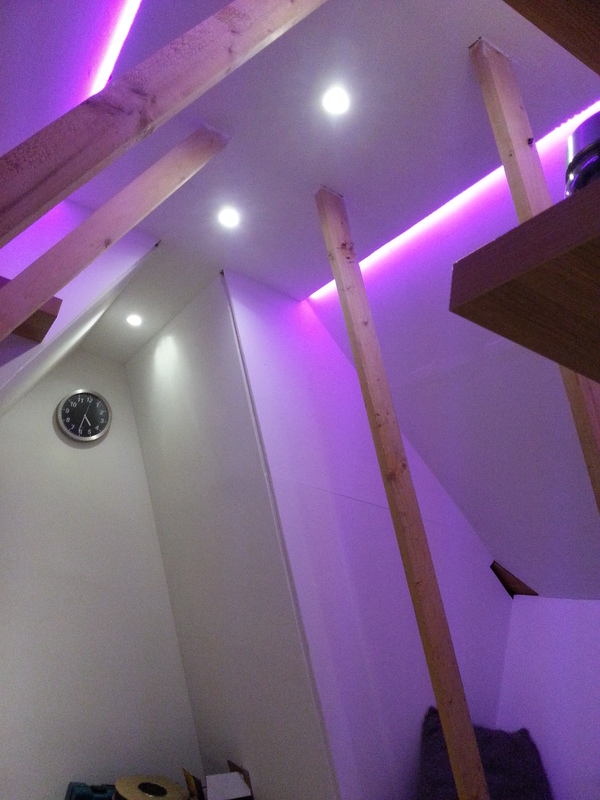 Here are 2 examples of loft lights we installed, We used spotlights in the middle and led strip lights round the edge. The leds are colour changing and remote controled and can change into alot of colours or fade through them at various speeds. Here they are in pink with spot lights on. 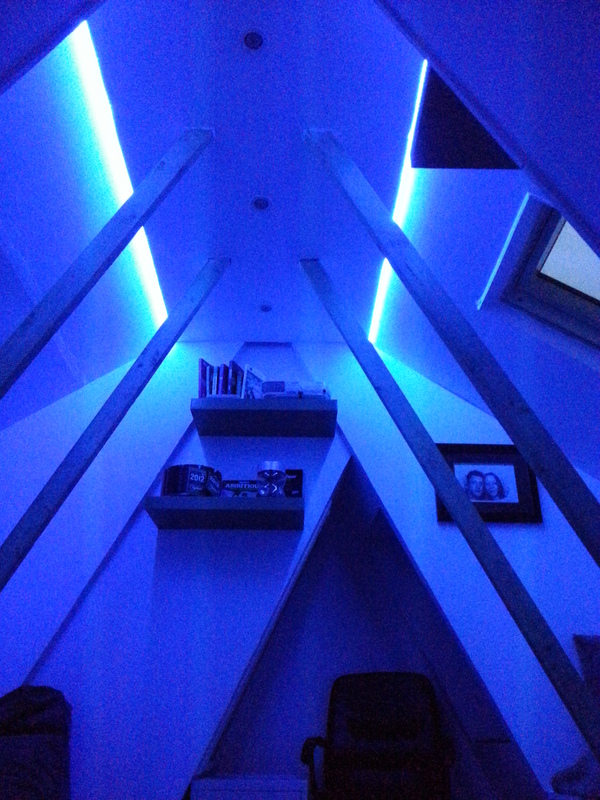 Here they are in blue without the spot lights on.